Exmouth is a town on the tip of the North West Cape in Western Australia. Kick off your visit on the 24th (Sat): see the vivid underwater world at Ningaloo Reef and then discover the deep blue sea with Turquoise Bay. Keep things going the next day: stop by Exmouth Tackle & Camping Supplies and then meet some fierce fish with a shark diving experience. For photos, ratings, where to stay, and more tourist information, use the Exmouth day trip planning website . Singapore, Singapore to Exmouth is an approximately 15-hour combination of flight and car. You can also fly; or do a combination of flight and bus. When traveling from Singapore in November, plan for somewhat warmer days and slightly colder nights in Exmouth: temperatures range from 41°C by day to 22°C at night. Finish your sightseeing early on the 25th (Sun) to allow enough time to travel to Perth. Bring the kids along to Cottesloe Beach and Perth Zoo. Explore Perth's surroundings by going to Fremantle Prison (in Fremantle) and Caversham Wildlife Park (in Whiteman). 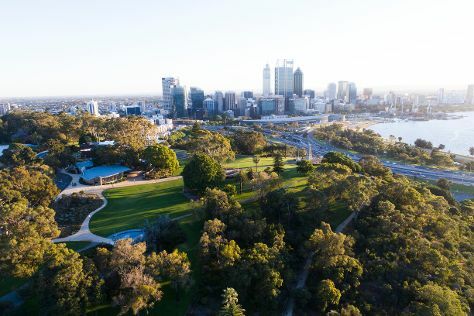 Next up on the itinerary: take in nature's colorful creations at Kings Park & Botanic Garden, pause for some photo ops at Kings Park War Memorial, contemplate the long history of The Perth Mint, and don't miss a visit to The Bell Tower. To find traveler tips, where to stay, ratings, and other tourist information, use the Perth trip itinerary site . Fly from Exmouth to Perth in 5.5 hours. Alternatively, you can do a combination of car and flight; or drive. Expect slightly colder temperatures when traveling from Exmouth in November; daily highs in Perth reach 33°C and lows reach 15°C. Finish your sightseeing early on the 29th (Thu) so you can travel back home.